1. How many times can my youth/athlete train per week and what is optimal? 2. What is the best Parisi program for my youth/athlete? The best programming for your youth/athlete depends on the his/her goals, and yours. The only way to determine the best fit is to contact your local Parisi and book an evaluation. During that time, the Parisi staff will discuss the results of the evaluation, along with goals and recommend the most appropriate program for your youth/athlete. 3. What is best if my youth is not an athlete and he or she is just looking to get into shape? If your youth is looking to get active, lose weight and/or get in shape, then the Total Conditioning is the answer. Many of our Total Conditioning youth find the “athlete within them” during the Total Conditioning experience and go on to train like an athlete in our sports performance program. 4. What is youth sports performance training? Parisi programming has a variety of pricing offerings to fit into any budget. We offer “pay up front” and montly options. 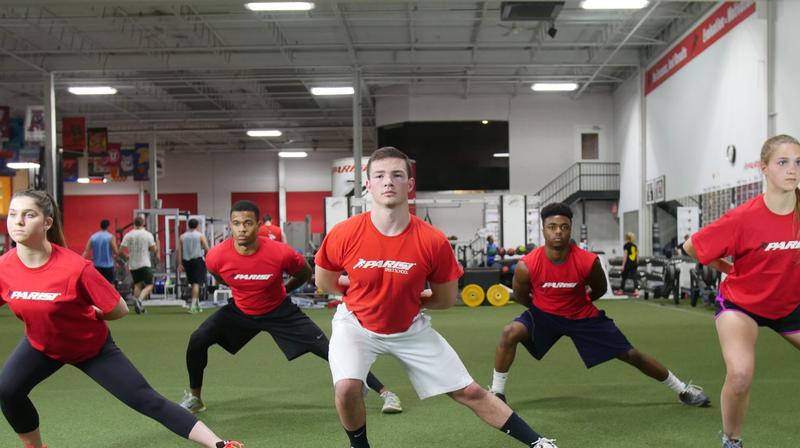 Most of our locations offer no-contract and contract options based on what works best for your situation, as well as flexibility to “freeze” Parisi particpation during your athlete’s sports season. 6. How does scheduling work? In most locations, Parisi offers evey 50-minute to 1-hour program at least once a day and usually multiple times per day. Since most youth/athletes train 2 – 3 times per week, this schedule provides the maximum flexibility for your busy schedule. We even offer Saturday (and sometimes Sunday) classes in most locations. Contact your local Parisi for specfics about that locations schedule. 7. How many youth/athletes are in a class? 8. Does the program include weight-lifting… I have heard that is unsafe for young children? Our Total Conditioning and Jump Start programs do not include weight lifting, but use body weight techniques to increase strength in a safe and effective way. Athletes in our Total Performance and PEAK programs will incorporate carefully scripted and monitored weight lifting into their programs. All of our strength scripts for these programs have been written and approved by experts in the field of youth sports performance. You can rest assured that your athlete will be well taken care of in our programs! 9. How long will it take to see results? Results depend on the effort your youth/athlete puts into the program. Most youth/athletes who come 2 – 3 times per week and are engaged in the sessions wil feel and see immediate results, but you will begin seeing results after only several weeks. If you ever question your youth/athlete’s progess, the Parisi staff will be happy to conduct an updated evaluation. 10. How is the Parisi program different than other youth sports performance offerings? Our founder, Bill Parisi, has been training young athletes for 25+ years. His methodologies and programming where built for youth, NOT an adult program that is “customized” for youth. Additionally, Parisi coaches are certified to train youth, which is a different set of skills than training adults. Parisi has been in the business of training youth since our inception…it is not simply another market beyond adult to sell for us!